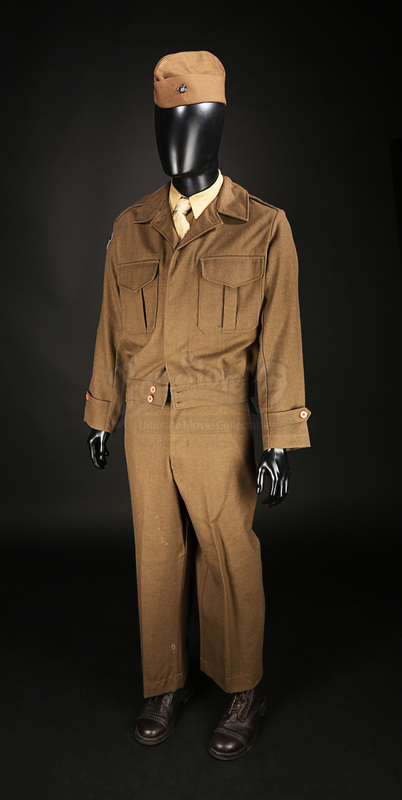 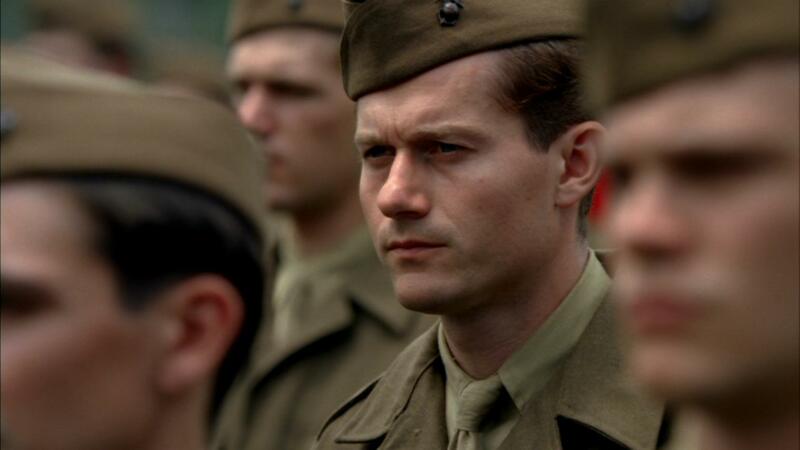 Robert “Lucky” Leckie's (James Badge Dale) dress uniform from the Steven Spielberg and Tom Hanks-produced TV mini-series The Pacific. 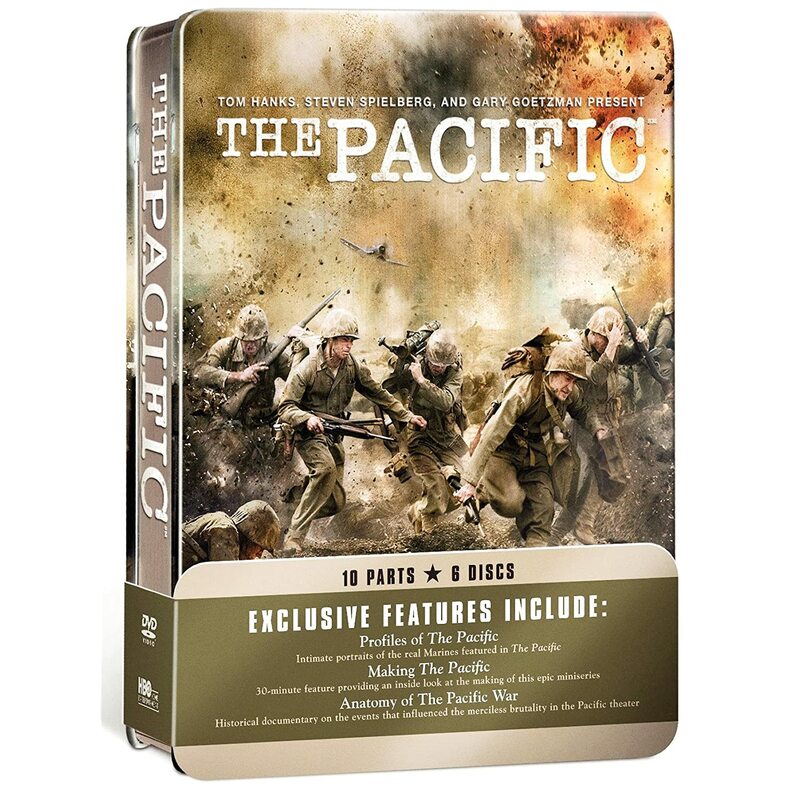 The series tells the story of the US military in the Pacific during World War II, as seen through the eyes of several young Marines. 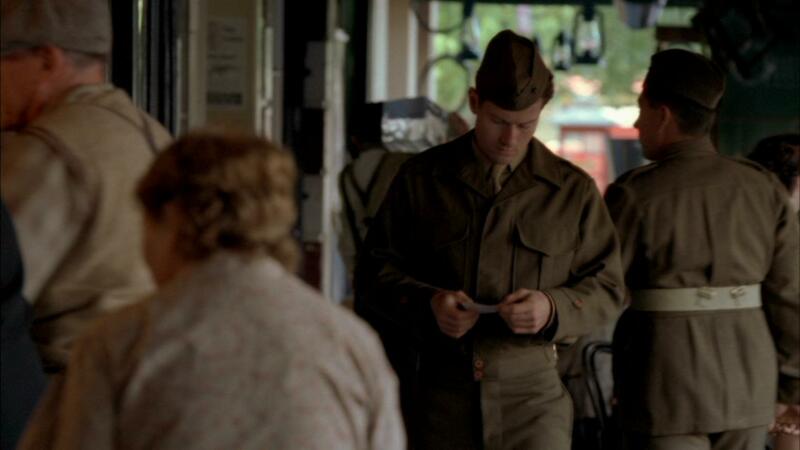 The costume is used in Episode Three “Melbourne” when Leckie, Sgt. 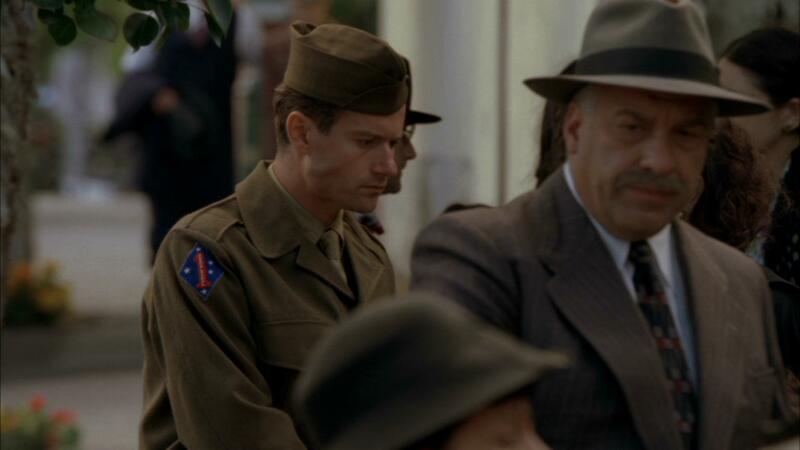 Basilone (Jon Seda) and their fellow Marines are shipped to Melbourne after their defence of Guadalcanal. 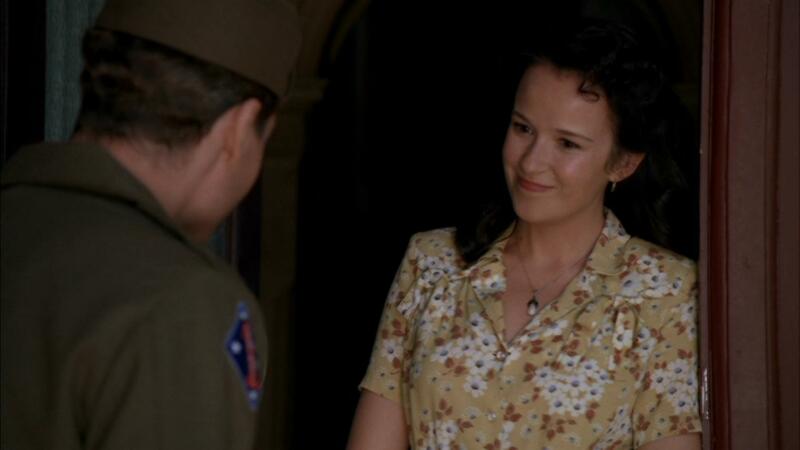 Leckie then meets and Australian woman, Stella (Claire van der Boom), and the two fall in love. 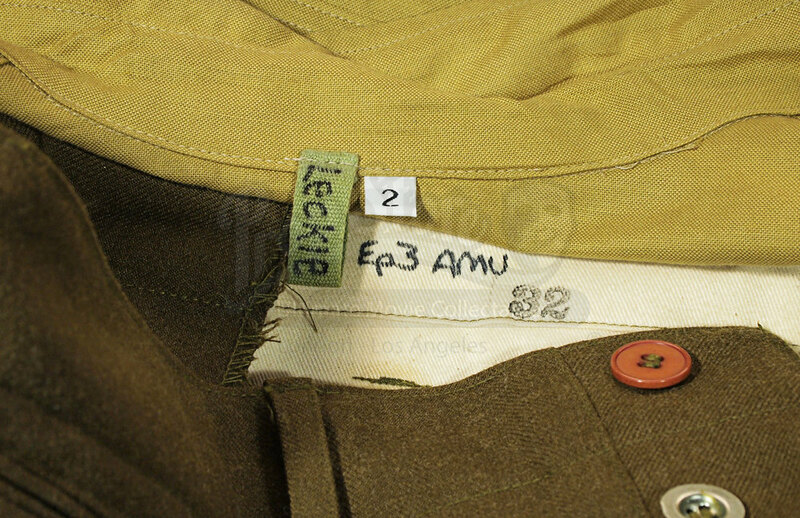 The set consists of a Class A olive drab military jacket (size 38) and trousers (size 32 marked “Ep 3 Amu”) with Guadalcanal First Division patch, khaki dress shirt (size 2, marked “Leckie”) and tie, dress cap with eagle, anchor and globe pin (marked “Leckie”, size 7), and a pair of brown leather boots (marked “Leckie”, size 11). 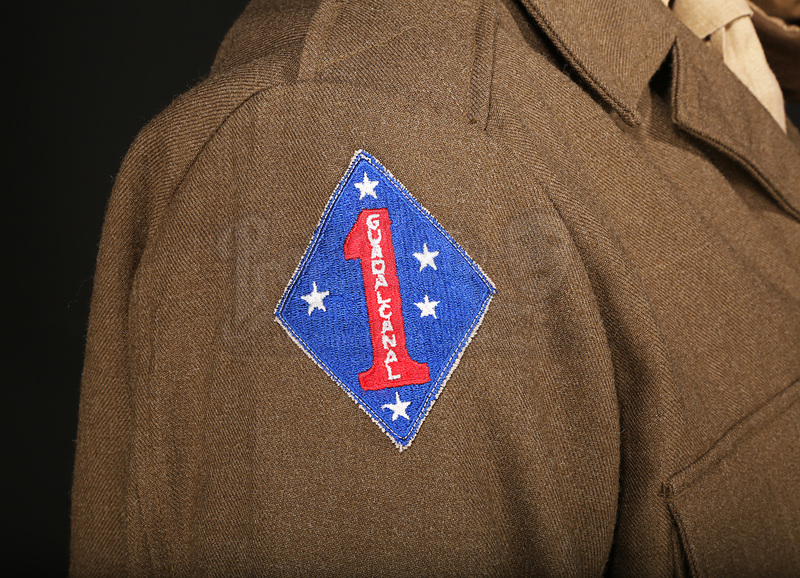 The costume shows some signs of production us, including some minor staining on the trouser legs, but it remains in otherwise excellent condition. 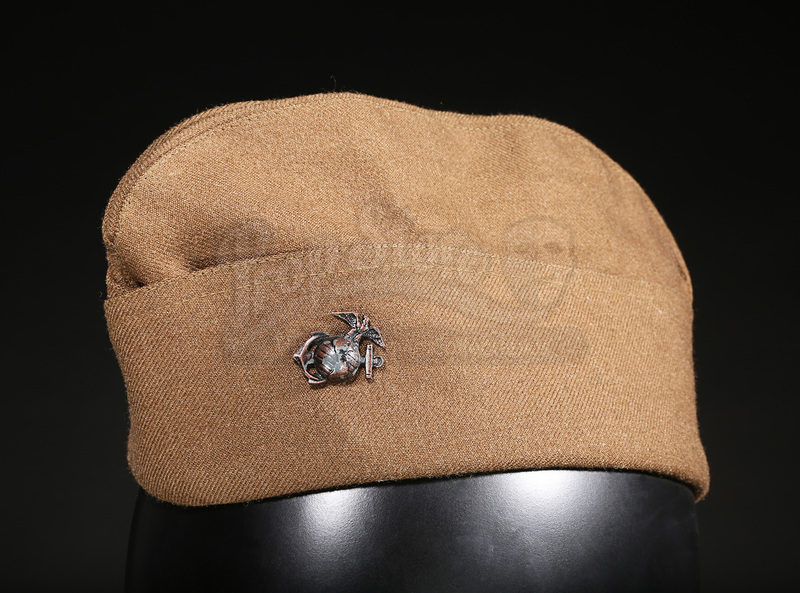 Materials: Man-Made Woven Fibres, Ferrous Metals, Plastic, Leather, Hardened Rubber.